VERY NICE PRO STREET ROLLING CHASSIS, THIS KIT IS COMPLETE AND INCLUDES EVERYTHING YOU NEED BESIDES THE PAINT JOB. YOU'RE LOOKING AT A VERY NICE WILD WEST GUNFIRE! THESE BIKES WERE VERY LIMITED IN PRODUCTION! THIS BIKE HAS CARBON FIBER FENDERS, A PATRICK RACING MOTOR AND MUCH MORE! PLEASE CALL JOE WITH ANY QUESTIONS. THANKS! YOU'RE LOOKING AT A VERY NICE BOURGET WITH LOW MILES AND LOTS OF UPGRADES. PLEASE CALL JOE WITH ANY QUESTIONS. THANKS! YOU'RE LOOKING AT A VERY NICE BOURGET RUDE. THIS BIKE IS LIKE NEW AND HAS VERY LOW MILES. THIS BIKE IS VERY CLEAN. PLEASE CALL JOE WITH ANY QUESTIONS. THANKS! YOU'RE LOOKING AT A VERY NICE DEUCE WITH ON 970 MILES ON IT. THIS BIKE HAS LOTS OF UPGRADES INCLUDING A CHROME SWINGARM AND PIPES. PLEASE CALL JOE WITH ANY QUESTIONS. THANKS! THIS IS A NICE HONDA CB300F WITH LOW MILES! THIS BIKE IS PERFECT FOR A NEW RIDER OR A GREAT COMMUTER! PLEASE CALL JOE WITH ANY QUESTIONS. THANKS! 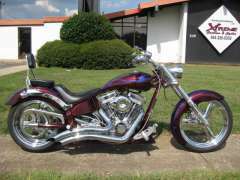 YOU'RE LOOKING AND A VERY NICE SOFTAIL CUSTOM WITH A BUILT MOTOR AND CHROME EVERYWHERE! PLEASE CALL JOE WITH ANY QUESTIONS. THANKS! 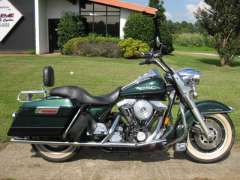 YOU'RE LOOKING AT A NICE HERITAGE SOFTAIL WITH A RARE COLOR COMBINATION. THIS BIKE IS READY TO RIDE AND PRICED TO MOVE! PLEASE CALL JOE WITH ANY QUESTIONS. THANKS! 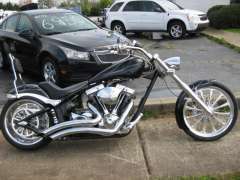 THIS IS A VERY NICE BIG DOG WITH GHOST FLAMES, SISSY BAR, SOFTAIL FRAME AND UPGRADED WHEELS. PLEASE CALL JOE WITH ANY QUESTIONS. THANKS! 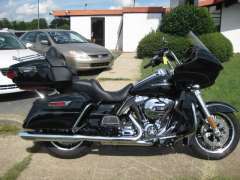 YOU'RE LOOKING AT A NICE OLDER ROAD KING THAT RUNS GREAT! THIS BIKE IS PRICED TO MOVE! PLEASE CALL JOE WITH ANY QUESTIONS. THANKS! YOU'RE LOOKING AT A VERY NICE BIG DOG BULLDOG WITH LOW MILES! THIS BIKE IS IN PERFECT CONDITION! COME CHECK OUT THIS BEAUTIFUL BIKE TODAY! PLEASE CALL JOE WITH ANY QUESTIONS. THANKS! THIS IS A LIKE NEW SPECIAL WITH EXTRAS! BARS AND MORE! 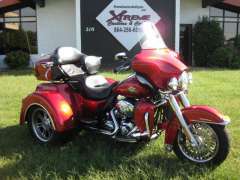 THIS IS A AWESOME COLOR COMBINATION AND THIS BIKE ONLY HAS 948 MILES ON IT. CALL JOE WITH ANY QUESTIONS. THANKS! 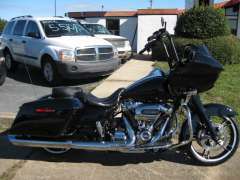 YOU'RE LOOKING AT A NICE ROAD GLIDE SPECIAL THAT HAS BEEN BLACKED OUT, HAS BARS, NAV AND MORE! 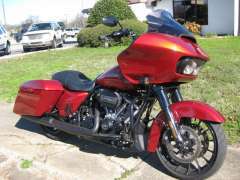 THIS BIKE IS A STEAL FOR A 2017 ROAD GLIDE! PLEASE CALL JOE WITH ANY QUESTIONS. THANKS!